There was some good news for users of the CoinPot Microwallet service for free faucets this week – all fees have been removed and the withdrawal threshold reduced. CoinPot, which only launched in July 2017, has quickly risen to become one of the most popular microwallet services out there and is now used by thousands of faucet visitors daily. Until recently, fees across the bitcoin mining network had been rising steadily. However, recent improvements to the bitcoin network have seen them tumble to a much lower level and it’s hopeful this is where they’ll remain. In response to this, CoinPot announced on February 26 that they were cutting fees for withdrawals completely and dramatically reducing the withdrawal limit from a minimum of 25,000 satoshi (0.00025) to 10,000 satoshi (0.0001). Both these developments are good news for faucet users. The benefits of free withdrawals are obvious while reducing the withdrawal limit means you can move your bitcoins into your payment wallet much quicker than before. Before the reduction in fees, CoinPot had been forced to increase its charges to 2,000 satoshi for withdrawals of less than 100,000 satoshi – which represented quite a chunk of your hard-won coins. But now any more. However, as CoinPot has stated on its website, these fees are obviously subject to review and “we may need to re-introduce withdrawal fees and/or raise the withdrawal limit again”. But for now, it means more money in your pocket and easier access to your coins. For those of you who have no idea what a free bitcoin faucet is, here’s a quick rundown: A bitcoin faucet is a website that dishes out tiny amounts of cryptocurrency as payment each time you visit. This is offered as an incentive for you to keep on returning to the faucet to boost its traffic and in turn increase the advertising revenue the owner can earn. In addition, you may need to fill in a captcha in order to claim your coins which can bring in additional revenue to the website. The amounts given out are tiny – at the time of writing 10-30 satoshi per claim was fairly normal. Bear in mind that 1 bitcoin = 100,000,000 satoshi so you’ll need to gather quite a few before you make your millions. Being realistic, you’ll never get rich from faucets but it is possible to make a bit of extra cash each week if you visit a large number on a regular basis – something you can easily do while sat in front of the TV. And if you’re feeling ambitious, you can look at developing a referral network whereby you get a percentage of each claim made by people who sign up to a faucet using your link. We’ve written about this in detail here. Now, the question is, what do you do with all these tiny handfuls of satoshi – or ‘dust’ as they are often referred to in the faucet community – as they’re no good to anybody on their own? This is where microwallets come in. A microwallet is essentially a central repository for your coins meaning that each time you claim from a faucet your satoshi (or whichever cryptocurency you’re collecting) is sent to a single place and added together. The last point is crucial – amalgamating all your claims like this means you can gather together a usable amount much quicker. 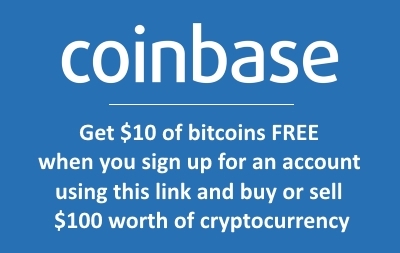 It can then be withdrawn to your bitcoin wallet, such as Coinbase or one of the many others out there. It’s important to note that microwallets are fundamentally different to an everyday bitcoin wallet in almost every way. They are both free, but that’s where the similarities end. A microwallet is simply for collecting tiny amounts of coin together from various sources across the web before transferring it to your main bitcoin wallet – either online or offline – which you use for your day-to-day transactions. The two main players in the microwallet world are CoinPot and FaucetHub, although there are a handful of others. Both are free and offer broadly similar services, although FaucetHub is connected to a wider network of free faucets than CoinPot. However, the CoinPot faucets are among the highest paying and most reliable out there. While FaucetHub may be have more, a lot of them disappear quickly, turn scam (ie pretend to be active but don’t pay out) or offer very low payouts. You’ll need to have a bitcoin address through an account with a service such as Coinbase which you then link to your CoinPot account. Once both these are in place you make your first claim and start building your free cryptocurrency empire. CoinPot currently supports five cryptocurrencies – Bitcoin Core, Bitcoin Cash, Litecoin, Dash and Doge – but offers a very handy feature whereby you can instantly convert your coins between each currency depending on which one you wish to accumulate. So, say you’re keen on gathering Bitcoin Core, you can collect from all the faucets into CoinPot then exchange your coins for this coin at the prevailing market rate. This makes it much easier to gather together a significant amount of the coin of your choosing. Another extremely handy feature of CoinPot is it’s direct browser mining function. This enables you to mine the coins of your choosing without any specialist equipment and you can choose how much CPU power you wish to allocate to this. As you can clearly see, CoinPot has a lot to offer, especially as it’s a completely free service. This week’s changes are likely to cement its position as the go-to option for those keen on building up a cryptocurrency holding from faucet claims.